Towards Euphoria. Number 1 in the second volume of our Editor’s Series, and co-winner of the 2011 Editor’s Prize. Cover image by Jeffrey Ethan Lee. 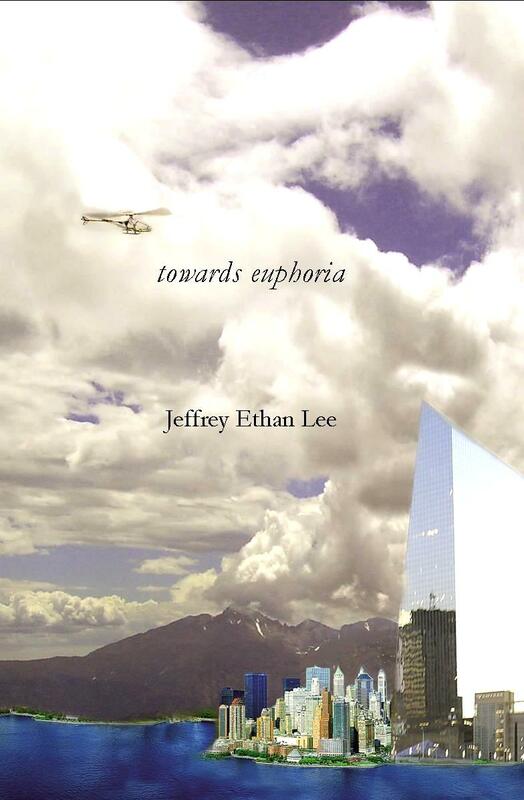 Jeffrey Ethan Lee‘s towards euphoria is the prequel to his first poetry book, invisible sister. His dramatic poetry book, identity papers, was a 2006 Colorado Book Award finalist. He won the 2002 Sow’s Ear Poetry Chapbook Prize for The Sylf (2003), created identity papers for Drimala Records, and has published Strangers in a Homeland (chapbook with Ashland Poetry Press, 2001) and hundreds of poems, stories and essays in North American Review, Xconnect, Crab Orchard Review, Crazyhorse, Many Mountains Moving, Crosscurrents, American Poetry Review, Green Mountains Review, and Washington Square, among other journals. Lee has a Ph.D. in British Romanticism and an MFA from NYU; he is an editor, director, and web designer for Many Mountains Moving and artist-in-residence at Ursinus College for spring 2012.